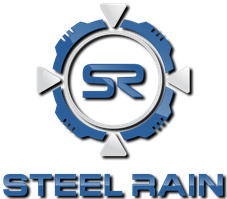 We at STEEL RAIN are here to help you as your “go to” place for information, inspiration and ordering your special gun. We can help you from determining what your requirements are to the final product. 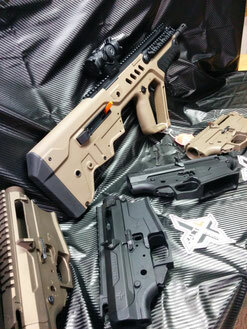 Gun parts, handguns, ARs and rifles are our specialty. We can build you almost anything and here are some of the running projects we will do. This 308 build started with the Saltworks receiver set. 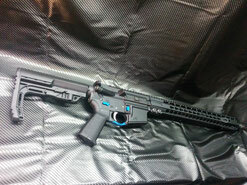 Finished it off with Faxon 18" Stainless barrel, SLR Solo handguard, Geissle trigger and Magpul PRS. Almost time to stretch it out to 1000yds. Aero Precision AR15 Lightweight 18"
We just got in another IWI TAVOR in 16.5" We will be adding a ShootingSight TAV-D Trigger. We will also be looking to build out some custom lightning solution. We added a ShootingSports TAV-D trigger and Geissle Lightning bow. 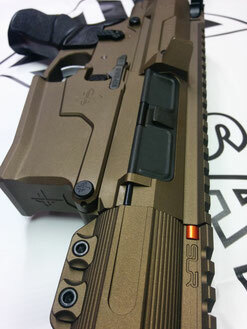 Saltworks M5 billet receiver set. * Seekings 45deg Ambi *Faxon Match barrel 18" Stainless Steel* Oden works mag release* SLR LOW solo 14" hand guard in Burnt Bronze *SLR Sentry7 adjustable gas block clamp *Nitrate coated LR308 BCG* AAC brake 51T *308 DPMS buffer spring *ACT coated trigger* DPMS buffer rifle* Black Rain dust shield *Raptor charging handle* Magpul PRS sniper stock *LaRue Grip . 5.3 LBS with Optic is the weigh-in. 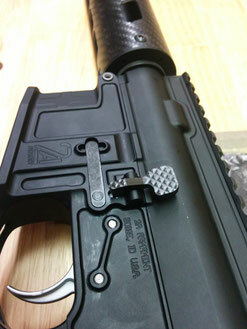 2A Arms BALIOS-lite upper and lower billet receiver set. This will be one of the lightest builds we have done. Featuring 2A's Ti Pin sets, Comp and a Faxon lightweight rifle gas barrel. 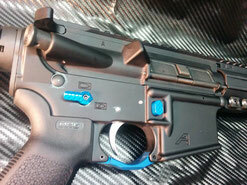 Add some CarbonFiber, .625 adjustable gas block, Lancer and several others will round out this sweet build.